For more information contact me or Youcef himself (through LinkedIn). Ramisch, J.J., (2010) Beyond the Invisible: Finding the Social Relevance of Soil Nutrient Balances in Southern Mali. Chapter 2 in German, L., Ramisch, J.J., Verma, R., (eds.) 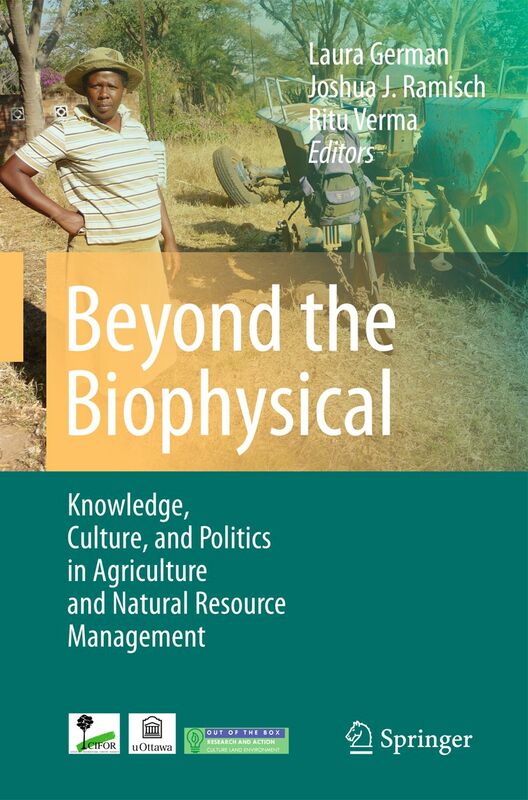 Beyond the Biophysical: Knowledge, Culture, and Power in Natural Resource Management. New York: Springer. Pp. 25-48. Download the unrevised pdf from ResearchGate here. The cotton-centered farming system of southern Mali has gained a reputation both as a paragon of successful, cash-crop led development and also as an example of serious soil nutrient depletion (“soil mining”). This chapter engages and critiques the social and developmental implications of the soil mining narrative and the language and methodology of soil nutrient balances that underpins it. By deploying the language of crisis in an “invisible” realm, soil scientists and development practitioners assert claims to control and knowledge of productive resources that would otherwise be the objects of intense social negotiation. The data-intensive calculation process also creates a false sense of precision about the “invisible” world of soil nutrients whose relationship to a social context is unknown or only implied. Examples from field work at the southern frontier of the cotton zone illustrate the partiality of the knowledge conveyed by nutrient balances and reveal the importance of multiple other “invisible” phenomena that were excluded from or could not be easily incorporated into the nutrient balance methodology. In the highly contested terrain of agro-pastoralism, migration, and mobility, these phenomena would include the constantly renegotiated access arrangements to land, labor, and livestock. The social relevance of nutrient balances can therefore only be improved by situating soil fertility within a broader context of environmental and livelihood factors, visible and invisible.